In the first study of this series I proposed considering only the references to Gollum that we find in The Lord of the Rings proper, that is, excluding not only The Hobbit but also the Prologue to The Lord of the Rings. My reasons for doing so are quite simple. First, there can be no certainty that a first time reader of The Lord of the Rings will have already read The Hobbit or even the Prologue. Second, Tolkien rewrote The Hobbit to suit the darker and more tormented creature into which Gollum had evolved in The Lord of the Rings. Thus, the portrayal of Gollum in this work has to stand or fall on its own, however much consideration of other material might enhance our understanding of it. Having now completed our analysis of how Tolkien laid the groundwork for Gollum's arrival in the Tale itself, we can in all fairness explore the larger context and its relationship to The Lord of the Rings. Now Tolkien's original public, in 1954 and 1955, will have included many who knew only the first edition of The Hobbit (1937), as well as some who knew only the second (1951); and by discussing both versions of Bilbo's story the Prologue very clearly addresses both sets of these readers. 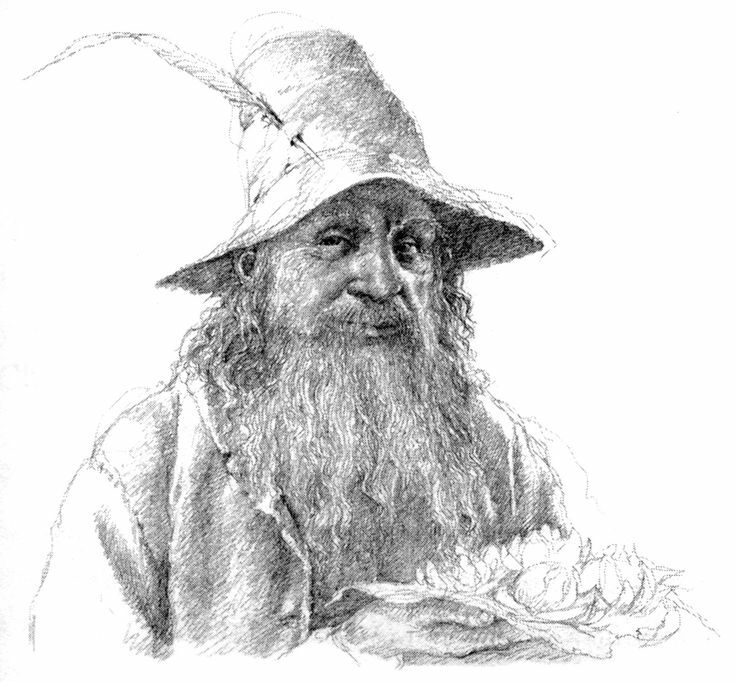 As a result, what is a straightforward narrative of how Bilbo came by the Ring in each edition, becomes a more complex tale of lies and silent dishonesty, theft and hatred, near murder and sudden pity, which reveals more about the corruption worked by the Ring than either edition does if taken alone. As Tolkien wrote with silken understatement on his proposed revisions in 1947, the year he submitted them to Allen and Unwin, '[...] if The Hobbit ran so the Sequel would be a little easier to <conduct> as a narrative (in Ch, II [i.e., The Shadow of the Past]), though not necessarily "truer".' (Rateliff, The History of the Hobbit, 732). 'Not necessarily "truer" ' is a fascinating comment, which suggests that some doubt may attach even to the second version. It brings to mind how Bilbo is still attempting to justify how he got the Ring many years after the wizard had already 'badgered' him into telling 'the truth' (FR 1.i.33); and Gandalf called the lies Bilbo and Gollum told about how they came by the Ring 'too much alike for comfort' (1.ii.48). If, as Gandalf also says, 'Gollum is a liar, and you have to sift his words' (1.ii.56), what does that mean for Bilbo, whom we know to be a liar as well? It is quite possible that Bilbo never told the whole truth until the Council of Elrond, years after he had let the Ring pass to Frodo and had been bitterly confronted with the spiritual and moral effect it was having on him. For only then can he say that he 'understand[s] now' and ask forgiveness for his lies (2.i.232; ii.249). However that may be, the simultaneous existence of two versions -- the one a lie, the other not necessarily truer -- argues that simple 'retcon' was not the point. Had it been so, we would expect the second version to suppress and supersede the first entirely. How do these two texts allow us to construe Gollum, and Bilbo, too, for, as we have seen here, it is from his behavior in A Long-expected Party that we glean our first impressions of Gollum in The Lord of the Rings? Since the 1937 Hobbit has long been out of print and the oft announced facsimile has not yet appeared, direct comparison of the two texts of Riddles in the Dark is not as easy as one could wish. We are not without resources, however. John Rateliff's The History of the Hobbit and Douglas Anderson's The Annotated Hobbit are works of the first importance. Also of great worth is Bonniejean Christensen's Gollum's Character Transformation in The Hobbit, the first work I know of to study the texts side by side. I would also gratefully draw the reader's eye to the parallel presentation of both versions in their entirety found here. Being able to read each one from start to finish without the need for notes or substitutions, and then to compare them directly, is an invaluable tool. With the exception of a dozen or so words, the 1937 and the 1951 texts of Riddles in the Dark are identical for almost the first 3,500 words. Before examining the differences, which quite naturally garner most of the attention, I'd like to look first at the words that are the same, because in both cases they establish a foundation for the rest of the action, and because Tolkien clearly decided there was no need to change them. The first 3,500 words take the story to the point where Gollum shrieks his last wrong answer -- 'String, or nothing!' -- and Bilbo, sword in hand, puts his back to the wall. What can we see then in this section? Bilbo spares hardly a thought for the ring he finds in the darkness -- 'a turning point in his career, but he didn't know it [....] it did not seem of any particular use at the moment' -- because he is too given over to the misery of being lost and cut off from his friends. His mind turns to the idea of frying bacon and eggs at home, a comforting thought if his hunger had not made him 'miserabler'. Next the hope of homely solace his pipe promises is 'shattered' by a lack of matches, leaving him 'crushed'. So though his thought seeks back beyond the moment for comfort, it fails to find any in the usual places. Yet his search is not wholly vain. For he finds his 'sword' from the storied elven city of Gondolin, so small that he had forgotten he had it, but its legendary connections and his sudden grasp of its usefulness against goblins comfort him. They enable him to go on. In the sword Bilbo 'comes upon' another ancient artifact, endowed with a certain power, which he has discovered only belatedly and which he had forgotten he possessed, and it helps him to continue on his journey. The same will be true of the ring. Most importantly at this moment, however, is that Bilbo has reached beyond the normal hobbitish comforts of food and pipe-weed to take hold of a wider and deeper world, one in which he 'explore[s ...] caves, and wear[s] a sword instead of a walking-stick' just as he had fancied he might do while still in Bag End (Hobbit 24). 'Go forward? Only thing to do. On we go.' And now that Bilbo has in this way recovered from his initial desperation, and by means of the sword and its associations found the courage to move forward, his native hobbit talents -- resilience, stealthiness, sense of direction underground -- and his native hobbit fund of 'wisdom and wise sayings' come to the fore. A turning point indeed. Advancing through the darkness steadily, though not without fear of 'goblins or half-imagined things', Bilbo is brought to a halt by a lake that blocks his path. We are told that the water may be home to 'nasty, slimy things with big bulging eyes [...] strange things' and 'other things more slimy than fish' and in the tunnels are still 'other things', which had been there before the goblins and still lived in 'odd corners, slinking and nosing about' (emphases mine). By this lake beneath the mountains, in this darkness full of things, lives Gollum, 'darker than the darkness', who catches and eats both fish and goblin, 'which he thought good, when he could get it'. His origins are a mystery, and even the goblins keep away from his lake, 'for they had a feeling that something unpleasant was lurking down there' (emphasis mine). Thus, as we see later in The Lord of the Rings, the reader is prepared for Gollum's entrance. For he is both like and unlike those things in the lake and the tunnels; he preys on the blind fish whom he can see with his 'pale lamp-like eyes'; and though he does not seem to be one of the original residents of the tunnels, he, too, slinks and noses about the odd corners of the darkness. But he also practices something that is not quite cannibalism, but also not quite not, on the goblins whom he 'throttles from behind'. Mysterious, monstrous, and murderous describe him, but don't disclose precisely what he is. 'Praps ye sits here and chats with it a bitsy, my preciousss. It likes riddles, praps it does, does it?' He was anxious to appear friendly, at any rate for the moment, and until he found out more about the sword and the hobbit, whether he was quite alone really, whether he was good to eat, and whether Gollum was really hungry. Riddles were all he could think of. Asking them, and sometimes guessing them, had been the only game he had ever played with other funny creatures sitting in their holes in the long, long ago, before the goblins came, and he was cut off from his friends far under under the mountains. 'Very well, said Bilbo, who was anxious to agree, until he found out more about the creature, whether he was quite alone, whether he was fierce or hungry, and whether he was a friend of the goblins. "You ask first," he said, because he had not had time to think of a riddle. Sharing the riddles, they have some kind of cultural heritage in common. So again Gollum is not wholly alien. More than that -- whatever Tolkien may have envisioned Gollum to be when first writing the story -- he also comes of a people who dwelt in holes. Not only are Bilbo and Gollum both playing for time here, but the close parallelism of the sentences describing their thinking -- 'anxious...until...whether...whether...whether' -- reinforces how alike they are. Yet these similarities open a dangerous door, when the most chilling difference between them turns their 'chat' into a 'competition' in which Bilbo's life is the stake. To begin with, in both of these statements there is a severe dissonance between the two parts of the wager: Bilbo is supper, or gets a present; Bilbo is supper, or gets shown out. Having introduced us to Gollum by first indicating his strangeness and monstrosity, and by then tempering that impression through the suggestion that he and Bilbo are not so different after all, Tolkien now brings that strangeness and monstrosity rushing back again with the shockingly unequal terms of the contest. For, while being eaten is clearly not a good result for Bilbo, not getting to eat him is scarcely an equivalent evil for Gollum. There are, as it were, other fish in the sea. Then, too, there is the absurdity of his sincere offer of a present and, though Bilbo wins the contest in a questionable fashion, Gollum's distress at being unable to find it and his many apologies as he shows Bilbo the way out instead. As John Rateliff has pointed out, in the 1937 Hobbit Gollum is more honorable than Bilbo (Rateliff, 166-67). And it seems clear that Bilbo felt that even a ghastly cannibalistic creature like Gollum could be trusted to abide by the rules of the Riddle Game. 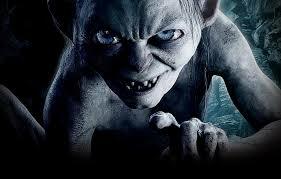 Else Bilbo would not have begun 'to wonder what Gollum's present would be like' when it appeared he was about to lose. It isn't until Gollum begins to paw at him and Bilbo asks his unexpected and unfair final question -- 'What have I got in my pocket?' -- that Bilbo becomes unsure of 'how the game was going to end, whether Gollum guessed right or not' (89-90). And even then, with his back to the wall and his sword out, Bilbo asks 'What about the present? ', which he felt that he had won 'pretty fairly' and had a right to by the time honored children's law of 'finding's keeping'. Yet the narrator is dismissive of Bilbo's fears, and asserts that even for creatures like Gollum the rules of the Riddle Game are inviolable. Now Gollum had to agree to this, if he was not to cheat. He still very much wanted just to try what the stranger tasted like; but now he had to give up all idea of it. Still, there was the little sword; and the stranger was wide awake and on the look out, not unsuspecting as Gollum liked to have things which he attacked. So perhaps it was best after all. Now we should not be too hard on Bilbo here. That would be missing the point about Gollum as well as Bilbo. For using cunning and lies to escape from a dangerous creature is as old as heroic tales themselves. It is a mark of the hero's intellectual prowess. We need only cite the story of Odysseus and Polyphemus, the cyclops, in Book Nine of The Odyssey. There Odysseus is trapped underground with a cannibalistic adversary, as remarkable for his one eye as Gollum is for his two. Odysseus uses his wits to save himself along with many of his men, though he also commits the nearly disastrous mistake of telling the creature his true name. (There's an interesting parallel to explore here, if someone else hasn't already done so.) Bilbo is clever enough to find a way to use the rules of the game against Gollum, so that Gollum feels he has no choice but to fulfill his part of the bargain: " 'Must we give it the thing, preciouss? Yess, we must! We must fetch it, preciouss, and give it the present we promised.' " To be sure, he remains aware of Bilbo's sword, but that seems more to confirm him in the decision he's has already made than to decide him. Still the last we see of Gollum, and the last any public reader ever expected to see before 1954, is him fulfilling the obligation imposed on him by the terms of the contest he had proposed. So he is a strange creature, frightening, dangerous, capable of monstrous acts to satisfy his hunger, but not so different from hobbits that he can't be dealt with. Unlike the Gollum we meet later in The Lord of the Rings, who haunts Frodo's tracks from Moria onward and who cannot be gotten rid of, this Gollum goes away once he has lived up to his promise. To have met him makes for a good story, which is precisely what Bilbo makes of it. (1937) 'What about the present?' asked Bilbo, not that he cared very much, still he felt that he had won it, pretty fairly, and in very difficult circumstances too. By removing the ring as a present one of the most intriguing, and touching, links between Bilbo and Gollum in the 1937 Hobbit vanishes without a trace: that Gollum had received as a birthday present the very ring he meant to give Bilbo as a present for winning their contest; and Gollum, dismayed that he cannot find it, splutters profuse apologies. There's a charm in this, that he was going to pass on the present that he had received. Nor does the 1937 text cast the least doubt cast upon Gollum's claim that it was his birthday present. But from Gandalf we know that Gollum's story was a lie, even if he had all but convinced himself of its truth -- he was still telling the tale over 75 years later -- and only he could have told Bilbo (FR 1.ii.48, 56). So the 'birthday present' part of the story is no invention of Bilbo's. What is more, in the 1951 version the introduction of the ring as belonging to Gollum, and his assertion that it was his birthday present serves to darken the narrative. Whereas in the 1937 Gollum went to fetch his 'birthday present' to give it to Bilbo, in the 1951 he goes off to get it so he can kill and eat Bilbo. That is what his 'birthday present' is good for -- just ask the 'small goblin-imp' he had dined on earlier that day -- and that is his sole motive for fetching it. So what had supplied a charming touch in the first edition is turned on its head in the second to illustrate Gollum's treachery and ghoulish appetites. The transformation is so complete in fact that we might well wonder if Tolkien had this in mind when he said the second version was not necessarily truer. Indeed the whole new section introduced in the 1951 text -- from Bilbo's demand that Gollum fulfill his promise to Gollum's discovery that his ring was lost -- does not just explain Gollum's motives and provide details about his use of the ring and its effects on him. It also contains information that Bilbo could not have known (what Gollum was thinking) at the time, or at any time before Gandalf learned them from Gollum decades later (how Gollum handled the ring), or finally before Gandalf had disclosed to him that this ring was connected to Sauron ('the Master who ruled them all'). Just as Gandalf had detected the falsity of Bilbo's initial story that he had won the ring because it was too much like Gollum's tale that it had been a present -- 'The lies were too much alike for comfort' (FR 1.ii.48) -- so we, too, may come to believe that Bilbo's new version is too much like the version Gandalf tells Frodo decades later. It is also true, however, that the claim that Gollum meant to cheat all along seems to have existed before Gandalf spoke to Frodo about it, since Frodo himself advances that claim (FR 1.ii.54). This argues the existence of three and perhaps four versions of the story: the first coming down to us in the 1937, which represents what Bilbo 'told the dwarves and put in his book'; the second being that which he told Gandalf and then Frodo (FR 1.i.40); the third being the tale as he told it at the Council of Elrond when he had come to 'understand things a little better now' (FR 2.ii.249); and the fourth -- which may or may not be the same as the third -- coming down to us in the 1951 text, and which was preserved in 'many copies' of the Red Book as 'the true account (as an alternative), derived no doubt from notes by Frodo and Samwise, both of whom learned the truth' (FR Pr. 13). In this context, which Tolkien's own assertion that the later version was 'not necessarily "truer" ' has provided us, it will be interesting to note that, while Bilbo says that the tale he tells at the Council of Elrond is 'the true story', Gandalf says only that Bilbo's and Gollum's versions 'agree' (FR 2.ii.254). What we should take away here is not that none of these accounts are reliable, but that anyone who possesses the Ring, even briefly, is susceptible to its dire influence. Viewed together from the perspective of The Lord of the Rings, both the 1937 and the 1951 versions show this influence. In the first tale Bilbo substantially whitewashes Gollum's character in order to support the story of the 'present'; in the second he blackens Gollum's name by adding grisly emphasis to his cannibalism and by portraying him as intending to break his promise the moment he had the opportunity to do so. The falsehoods Bilbo told to justify himself and his possession of the Ring in the 1937 have their analog in the falseness of Gollum in the 1951. Tolkien, moreover, meant for both of these versions of what happened that day to survive. Otherwise he would have just suppressed the 1937 version entirely, and not incorporated it into The Lord of the Rings as a lie Bilbo told, or inserted an account into the Prologue to explain variant manuscript traditions of the Red Book from which the 1937 and 1951 texts purportedly descend. For 'many copies' are not all copies. Together, their layered textuality tells a richer and more complete tale about Bilbo, Gollum, and the Ring than either could have done alone. But this is not all. For with the 'revelation' that Gollum was not a funny little creature of gruesome appetites who nevertheless kept his promises, a new door opens. Not a drop of the 'bless us and splash us' Gollum survives. He is now shrewd, horrid, and terrifying, recalling with pleasure the squeak of the goblin child he had devoured earlier that day, and seething with a rage at the loss of his precious that boils over when he realizes the truth of what Bilbo has in his pocket. Bilbo, a bit highhanded until now in demanding the fulfillment of Gollum's promise, flees for his life at the last possible moment, and now it is a murderous creature with glowing eyes that pursues him through the darkness. At this instant Gollum becomes for the reader what we have seen him portrayed to be in our studies of him in the first half of The Lord of the Rings. At this instant Bilbo, with rage and murder at his heels, discovers the power of the Ring and the tables turn. He becomes the pursuer, and invisibility gives power to his fear and desperation, the power of murder with impunity, just as it had to Gollum. But, unseen, Bilbo can also glimpse what was invisible to him before. Not only does the unfairness of invisibly murdering an unarmed opponent from behind hit Bilbo hard, overwhelming his fear of Gollum and the goblins and his desperation to escape and rejoin his friends. He is also struck, and far more profoundly, by the 'sudden understanding' of how desperate, fearful, and alone Gollum is: the horror of that life -- to which possession of the Ring has now brought Bilbo perilously closer -- allows pity through the door the Ring has opened. As Gandalf says to Frodo years later, hinting at divine intervention, there was more than one power at work in Bilbo's finding the Ring (FR 1.ii.56). Even without this hint, however, it is hard to avoid seeing some measure of the same in Bilbo's back to back flashes, of insight and inspiration, and harder still not to think of the phrase 'a leap of faith' when reading the final sentence of this paragraph. Not that Bilbo has undergone some kind of religious conversion here, or that Tolkien means to suggest that he has, but he has changed; and by calling this notion to our minds Tolkien suggests a larger spiritual context of which Bilbo, like Frodo later, is himself unaware. [...] Gollum brought up memories of ages and ages and ages before, when he lived with his grandmother in a hole in a bank by a river, "Sss, sss, my preciouss," he said. "Sun on the daisies it means, it does." But these ordinary above ground everyday sort of riddles were tiring for him. Also they reminded him of days when he had been less lonely and sneaky and nasty, and that put him out of temper. What is more they made him hungry [...]. [...] a glimpse of endless unmarked days without light or hope of betterment, hard stone, cold fish, sneaking and whispering. ‘But there was something else in it, I think, which you don’t see yet. Even Gollum was not wholly ruined [...]. There was a little corner of his mind that was still his own, and light came through it, as through a chink in the dark: light out of the past. It was actually pleasant, I think, to hear a kindly voice again, bringing up memories of wind, and trees, and sun on the grass, and such forgotten things. ‘But that, of course, would only make the evil part of him angrier in the end – unless it could be conquered. Unless it could be cured.’ Gandalf sighed. ‘Alas! there is little hope of that for him. Yet not no hope. The contrast between these two passages in The Hobbit and that from The Lord of the Rings shows the beginning and growth of the idea of the darkness of Gollum's days and its hopelessness before Bilbo discovered pity in his condition. The first passage, present in the 1937 and retained in the 1951, shows that darkness at its full. Even pleasant memories reinforce the horror. 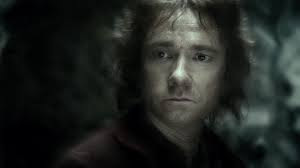 In the second passage, introduced in the 1951, Bilbo peers into that darkness and turns away from the path to murder. The third passage, part of a conversation in which Gandalf vainly encourages Frodo to pity Gollum as Bilbo had done, builds upon the two that went before to suggest that Gollum may yet return from the darkness of his soul just as he emerged from the shadows beneath the Misty Mountains. Nevertheless, the narrative of The Hobbit moves onward so swiftly, without the least glance back at Gollum, and the characterization of him has been so powerfully negative, that it is not easy to see even the potential for something else. Nor, moreover, does the hint of something else become detectable until Gandalf's conversation with Frodo in The Lord of the Rings. Even then, Frodo's reaction to the suggestion that Gollum was a hobbit, that he was to be pitied, and that he might be better cured than killed is as fierce as only denial can be. Here, too, the story moves swiftly on, and every mention of Gollum until he appears in The Taming of Sméagol emphasizes the danger he poses. Even in the Prologue, written with a certain air of historiographical detachment, he is 'loathsome', murderous, cannibalistic, and 'his heart was black and treachery was in it' (FR Pr. 11-12). In the end Gandalf's hope that Gollum might be cured proves vain, but its failure should neither obscure nor invalidate the suggestion of the text that by guiding Bilbo's hand to the Ring that day beneath the Misty Mountains the other 'power' which was at work made redemption something possible to hope for. It was a near run thing, that moment on the stairs of Cirith Ungol when Gollum nearly repented (TT 4.viii.714-15), and Tolkien called it 'perhaps the most tragic moment of the Tale' (Letters, # 246, p. 330). Indeed the echo of tragedy sounds first in the moment of Bilbo's horror and pity. Yet tragedies don't begin with one feckless friend murdering another over a 'birthday present' fished comically out of a river. Like the hint at a leap of faith at the paragraph's end, the echo of tragedy here in Bilbo's moment of horror and pity again suggests a larger spiritual context, one characterized by 'Bilbo was meant to find the Ring, and not by its maker' (FR 1.ii.56, emphases original), one which, as here, uses evil against itself to create a greater good and beauty (Silm. 17, 98). Thus, we can see that the darkness within Gollum is present from the first, no matter how much of a shock the Gollum of The Lord of the Rings must have been to those who had read the 1937 Hobbit. It is, however, clearly with the 1951 text that the truly evil Gollum we hear so much of in the first half of The Lord of the Rings makes his debut. That's no surprise. What is unexpected is the way in which the two portrayals of Gollum in the first two editions of The Hobbit work together to create a fuller portrait of Gollum, Bilbo, and the Ring's power over them. Tolkien's decision not to do anything as ordinary as repudiate the earlier version, but to retain it as a lie, side by side with the newer version, which is itself 'not necessarily "truer" ' is nothing short of a brilliant example of Tolkien's eccentric genius in the telling of Tales. Then the characterization expands with the perspective of the story. For not only does he suggest in passing the slim chance that Gollum might repent of his evil and be cured -- an essential point for a Christian like Tolkien -- but he weaves that possibility into the long game of the plot and the role of providence within history, where it will lie forgotten until Frodo meets Gollum, and comes to understand the pity of Bilbo. 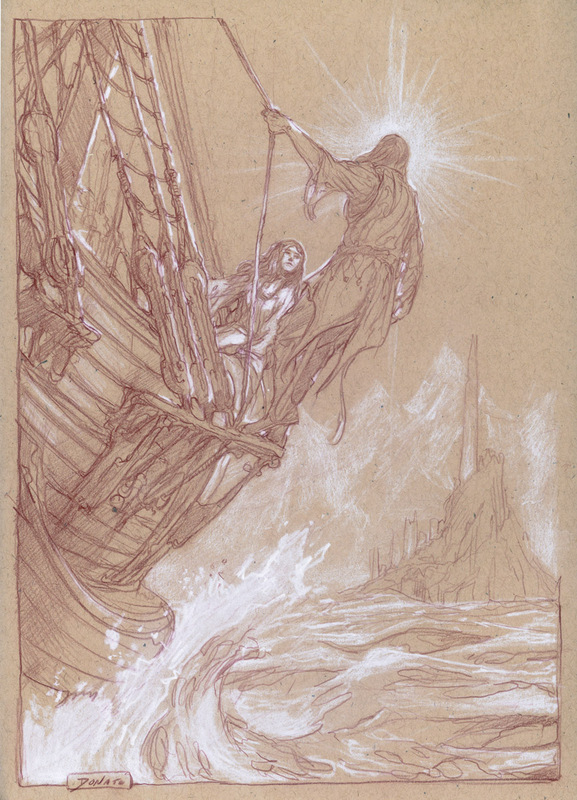 Yet, if in the end the burden of his deeds and the corruption of the Ring proved too much for him, if in the end he could not be saved, that was of old the fate of Arda Marred. See Olsen (2012) 85-87, 109. Necessarily, all page numbers cited above for The Hobbit derive from the 1951 edition. Since we are concerned with the perception of the reader, the identity of the narrator here, whether Bilbo or some later writer need not detain us here. It is also true that, regardless of the narrator, the accounts of Bilbo underlie the texts, with perhaps an admixture of what Gandalf learned from Gollum. Note Bilbo's words to Gandalf on the night of his farewell party: 'Gollum would have killed me, if I hadn't kept it' (FR 1.i.34), which strongly suggest that Bilbo's admission of 'the true story' to Gandalf years before had included a claim of Gollum's motives. This 'agrees' with Frodo's assertion about his intentions (FR 1.ii.54). For a discussion of the question of invisibility, see most recently Jane Beal, Why is Bilbo Baggins Invisible? The Hidden War in The Hobbit, The Journal of Tolkien Research (2015) vol. 2, iss. 1, article 8. 'No, not fair' brings Bilbo's rush of breathless fear, indeed near panic, to a dead halt. Tom repeatedly suggests the importance of the color blue. Tom speaks the languages of birds and beasts. Tom has been around forever. For Tom Time has no meaning. Tom can take people on journeys through time. Tom has been known in many different guises. Tom has a house which evil cannot penetrate. For Tom Song is all important. Tom finds distance no hindrance. Tom saves people from monsters. Tom is a bit of a madman.